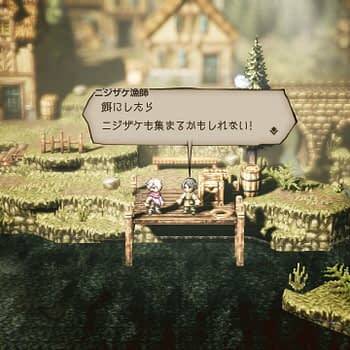 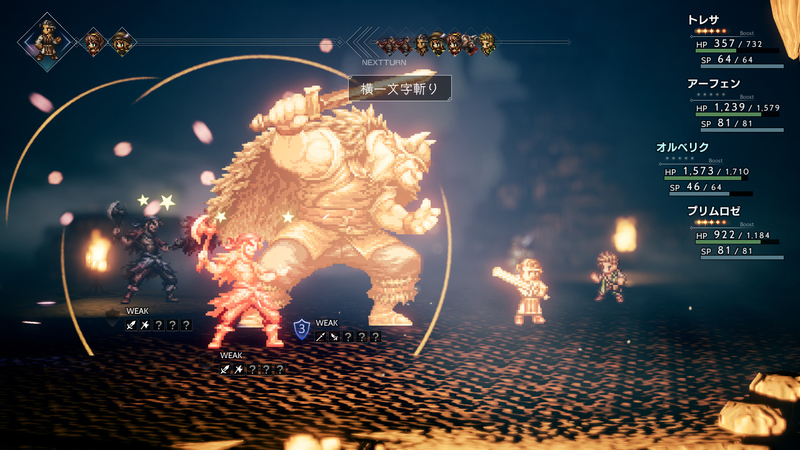 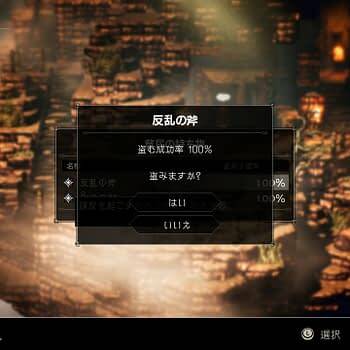 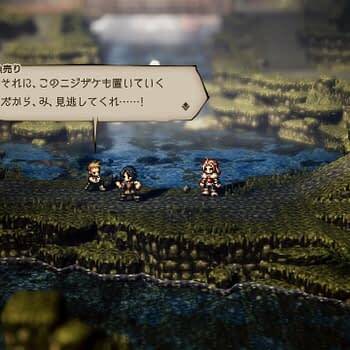 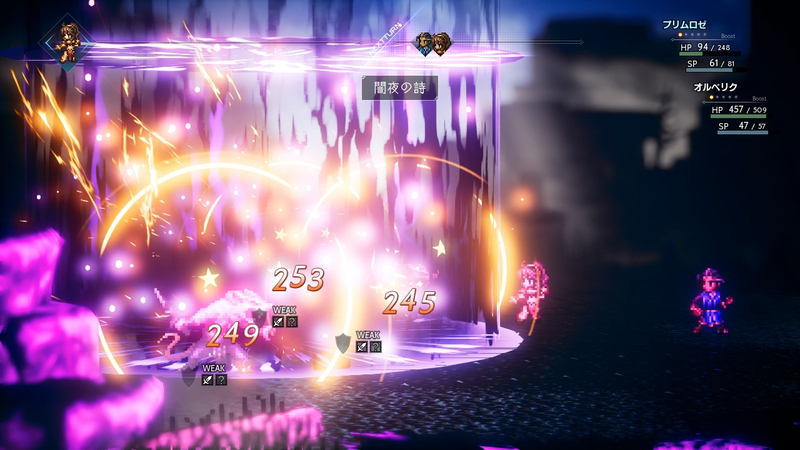 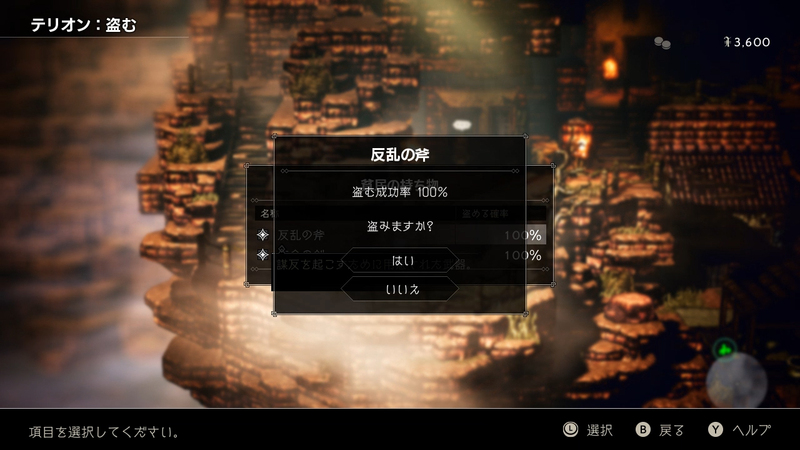 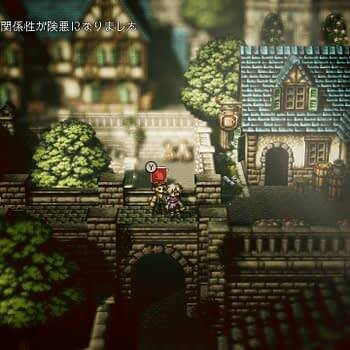 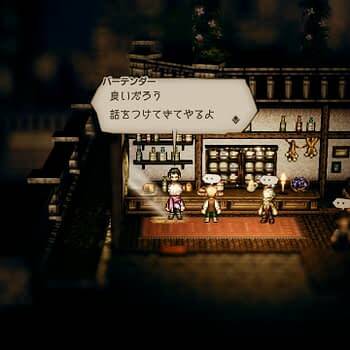 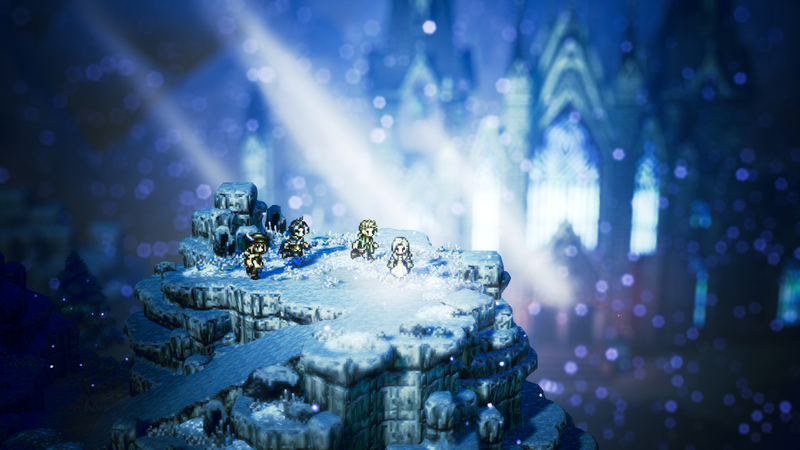 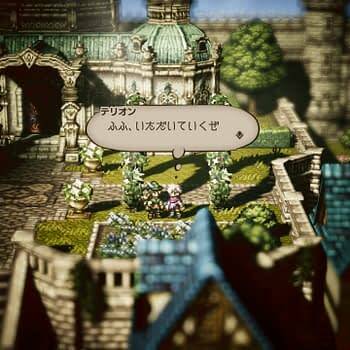 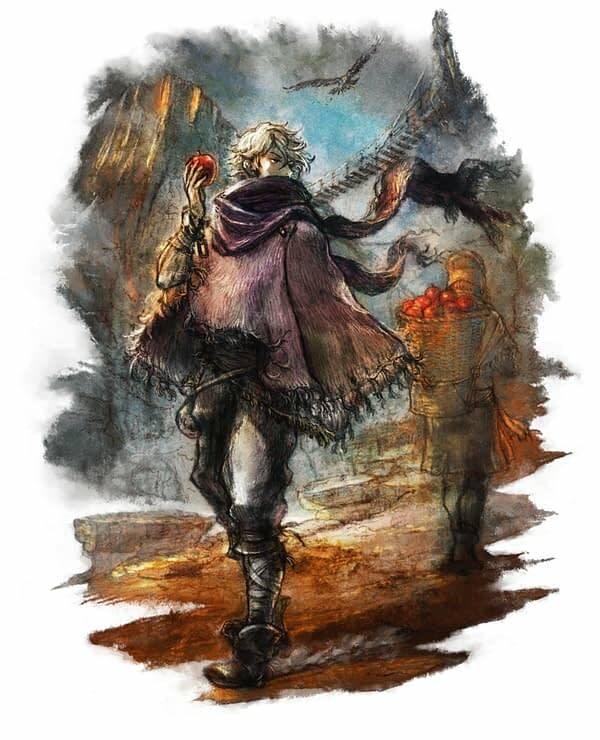 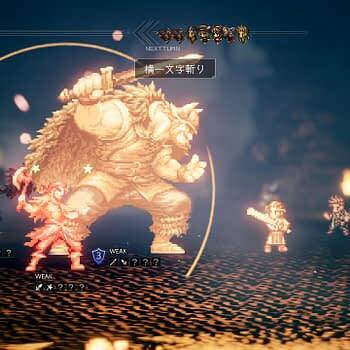 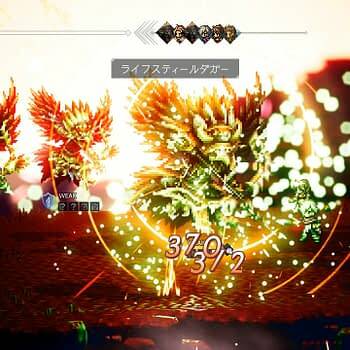 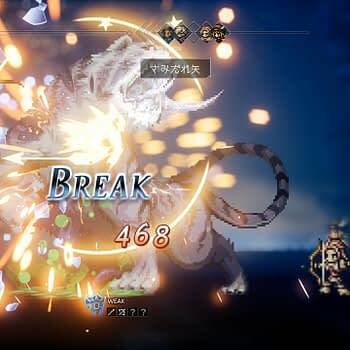 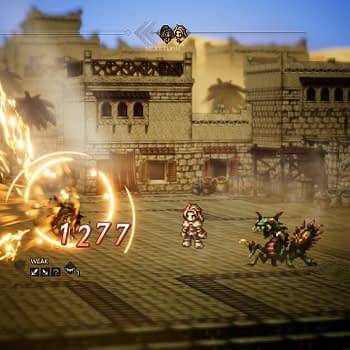 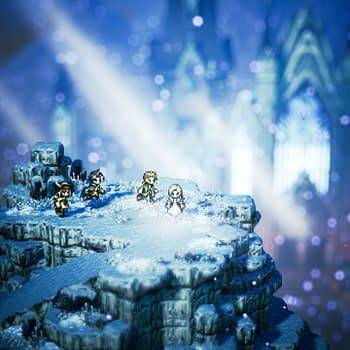 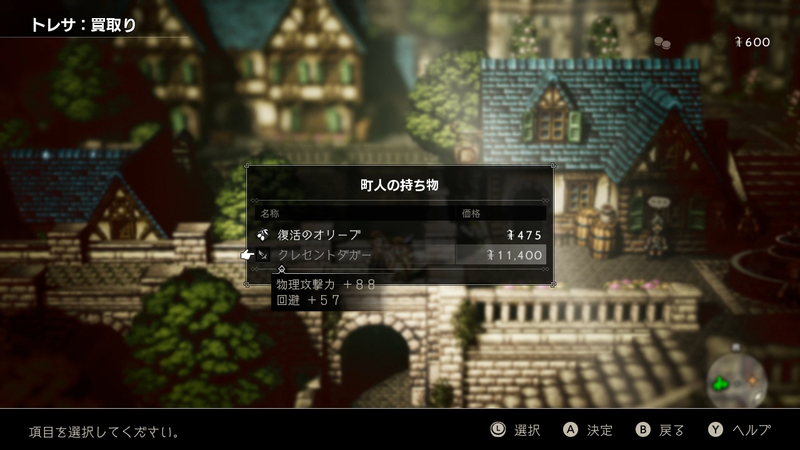 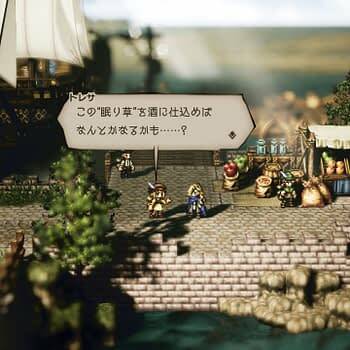 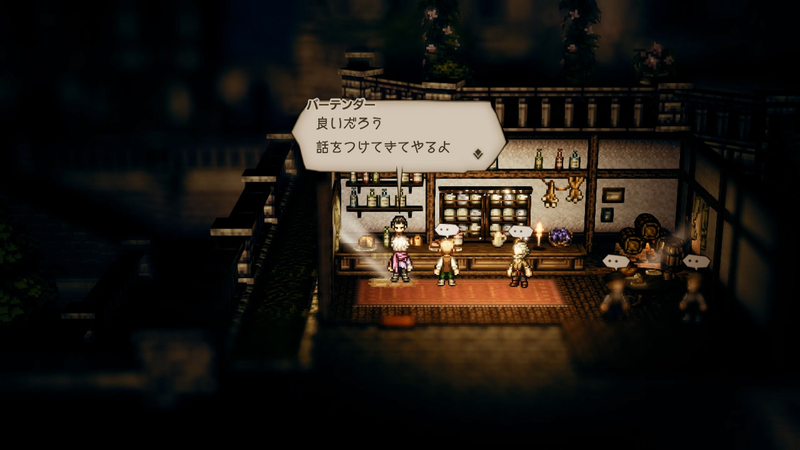 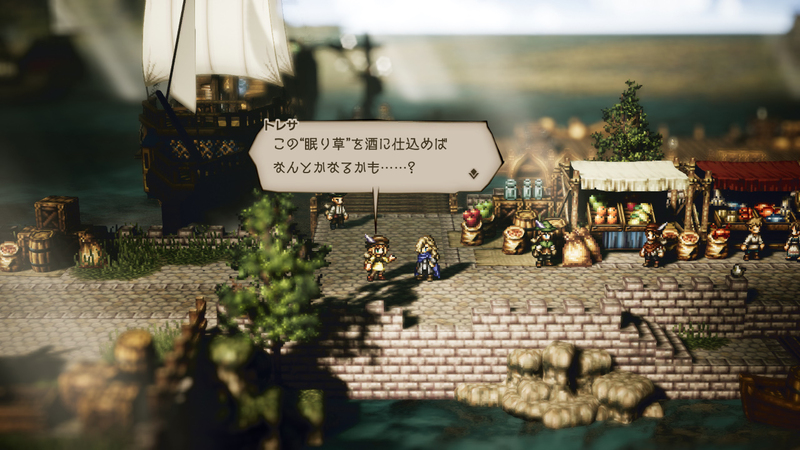 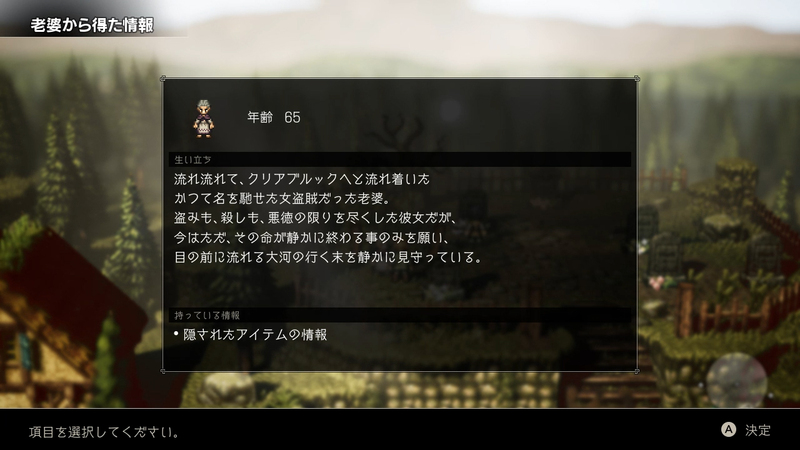 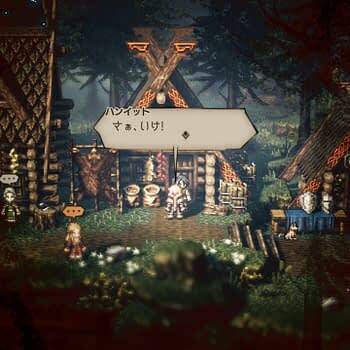 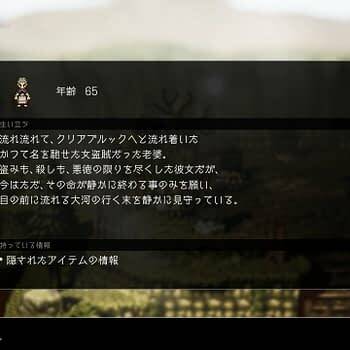 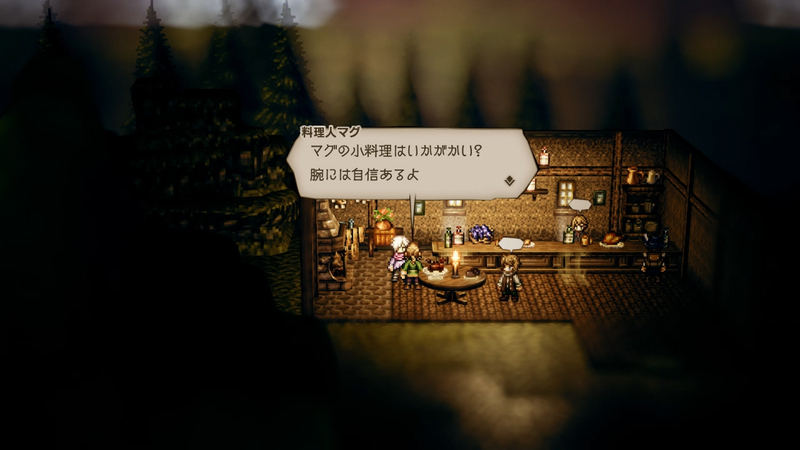 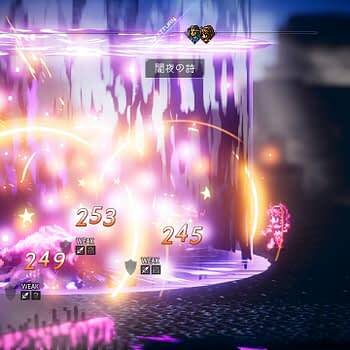 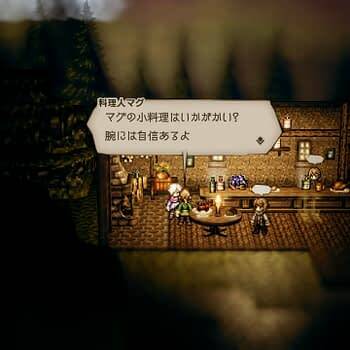 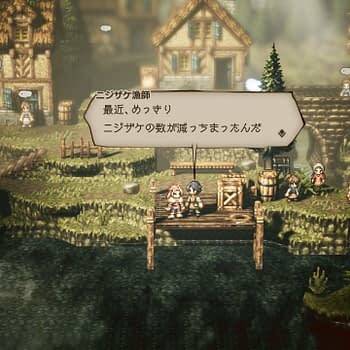 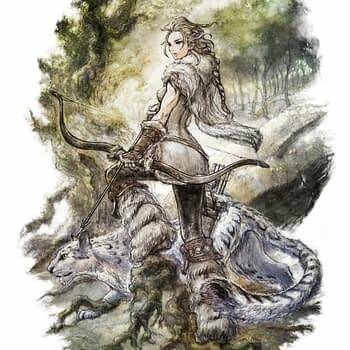 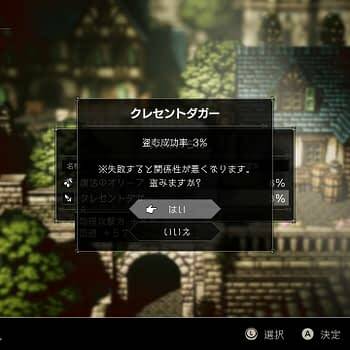 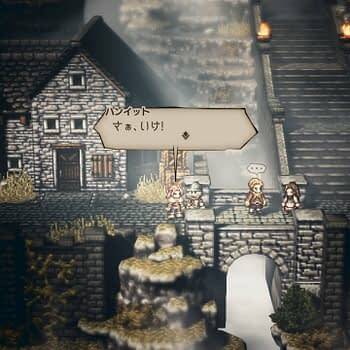 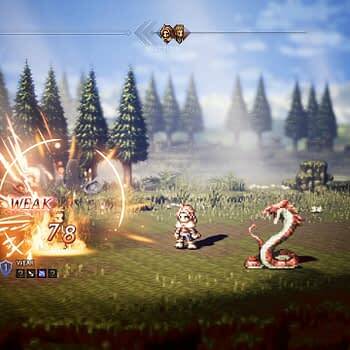 If you’ve been hoping to see some better images of Octopath Traveler come out of Square Enix beyond the sort of muted color ones we got back when it was announced as a Switch exclusive, then Square Enix is about to make you very happy. 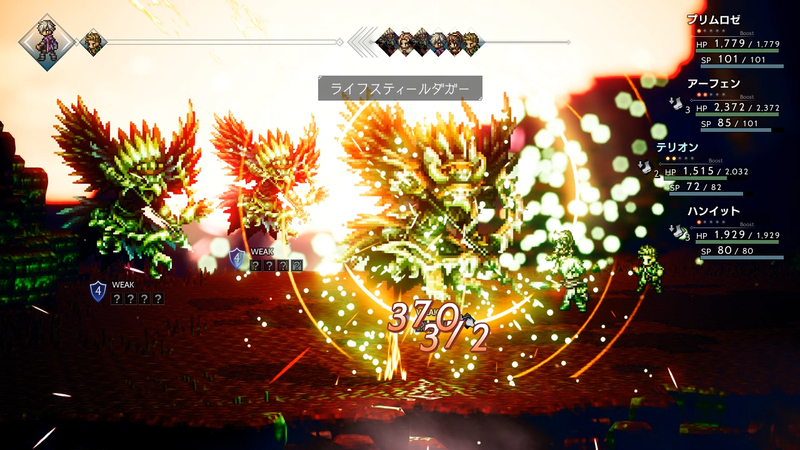 Today the company released a new set of images for the game, which includes two primary pieces of artwork and a ton of screenshots from the game. 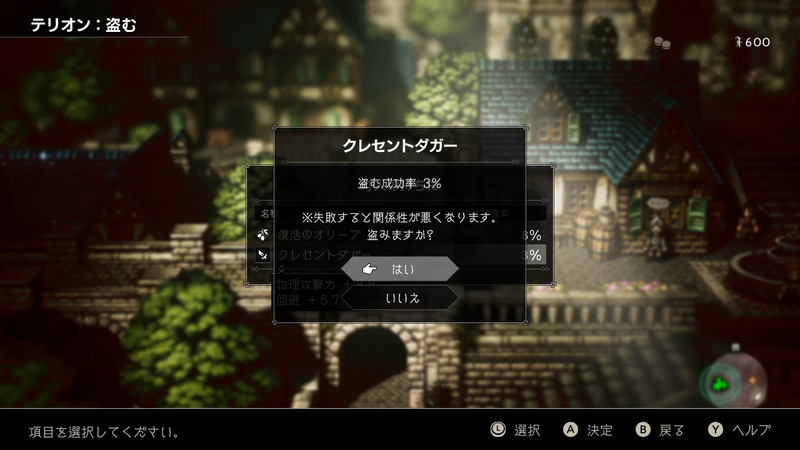 Fair warning, all of the images have Japanese text, so unless you can read it you’ll just have to admire the pretty images. 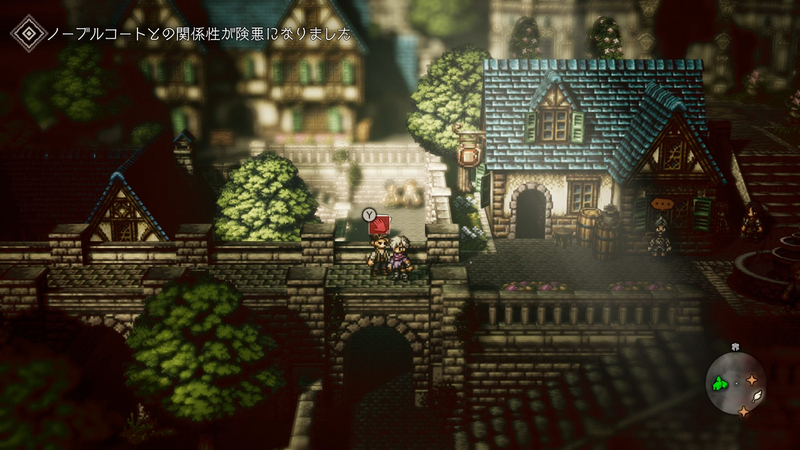 But just glancing over some of these shots will take you back a few decades in gaming. 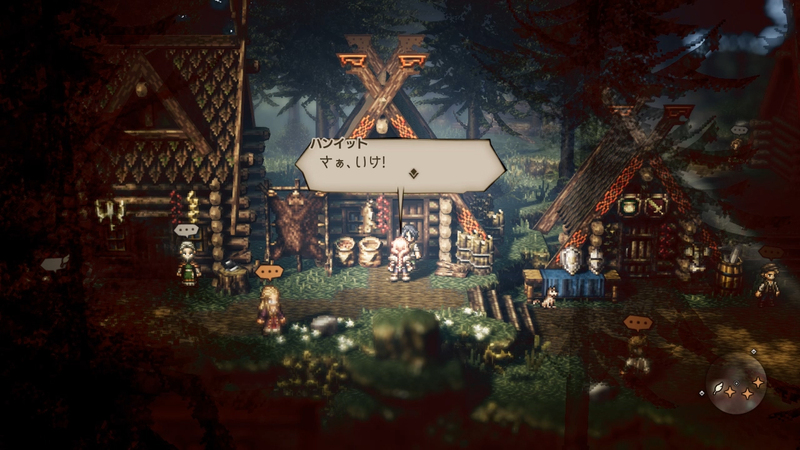 While the sprites and sequences look like they’ve been torn straight from a PS1 RPG, the backgrounds and designs are amazingly unique pieces of work that will make any gamer smile. 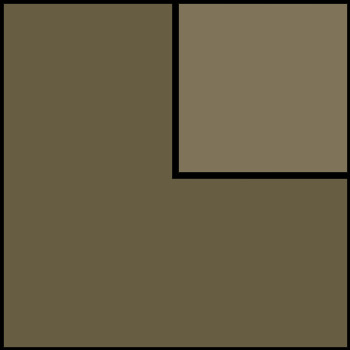 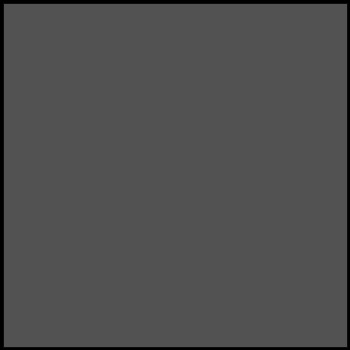 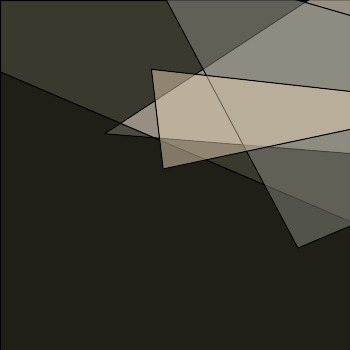 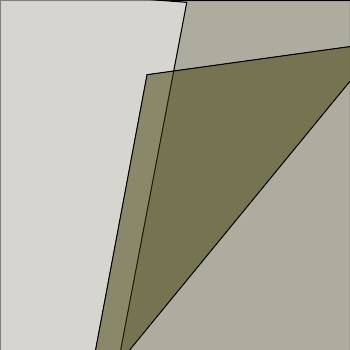 These are worlds that are meant to be lived in and not just paintings that people fight and walk against. 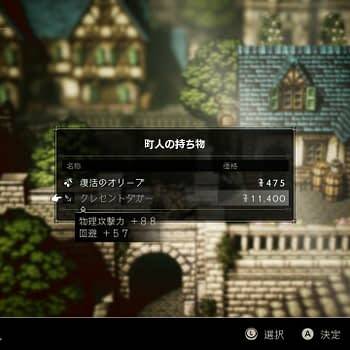 It’s going to be an awfuly long wait to July 13th.